Skin care is not something we should start worrying about just as we get older. According to the Skin Cancer Foundation, 23% of our lifetime sun exposure occurs by age 18. The top priority of most parents is to protect their children, however, protecting them from the dangers of the sun is typically not top of mind. As soon as a child is born, parents begin worrying about how to keep them safe from the dangers in the world. Protecting them from the sun is something that you can do so easily, as long as you know the correct steps to take. If your child is under 6months old, they should be kept out of the sun, period. At this very young age, their skin is too sensitive for sunscreen, so do your best to keep them covered up at all times. Once your baby hits the 6 month mark, their skin can handle sunscreen. You can use SPF 15 on any areas of your baby’s skin that aren’t covered by their clothes. Be careful on the face area, especially when applying sunscreen near the eyes. After 12 months, make sure to apply sunscreen all over and reapply every 1-2 hours. As kids get a little bit older and start to become more active, protecting them from the sun becomes a little more difficult, but more important than ever. Keep them covered. When children are very young, you get to control what they wear so it’s easy for you to ensure they’re covered up. Cover up as much of your child’s skin as possible and make sure to get them a hat and a pair of sunglasses for when you’re outside. This will keep them protected and just think of how cute they’ll look! Keep them in the shade. Whenever possible, keep your baby in the shade. If you’re taking them for a walk in their stroller, walk on the shady side of the street and make sure the stroller’s canopy or parasol is shading them as well. If you’re letting them play on the grass, move into a shaded area. Keeping your child in the shade will ensure they’re not getting direct exposure to the harmful sun. Buy a mesh window cover for your car. Believe it or not, you can get a sunburn from inside your car, even with the window closed! Buy a screen that covers your back windows so the sun is not hitting your baby while they’re in the back seat. This will keep them out of the sun’s rays and will also keep them much cooler! Avoid the hottest times of the day. From 10am – 4pm the sun is at its strongest. Whenever possible, limit your time outside during these hours. If you have to be outside in the middle of the day, make sure your baby is covered up and in the shade! Since a young child has had little to no exposure to the sun, their skin is extra sensitive, so be sure to keep your baby protected. As you can see, there are some very easy habits you can get into to make sure your baby’s exposure to the sun’s harmful rays is limited. 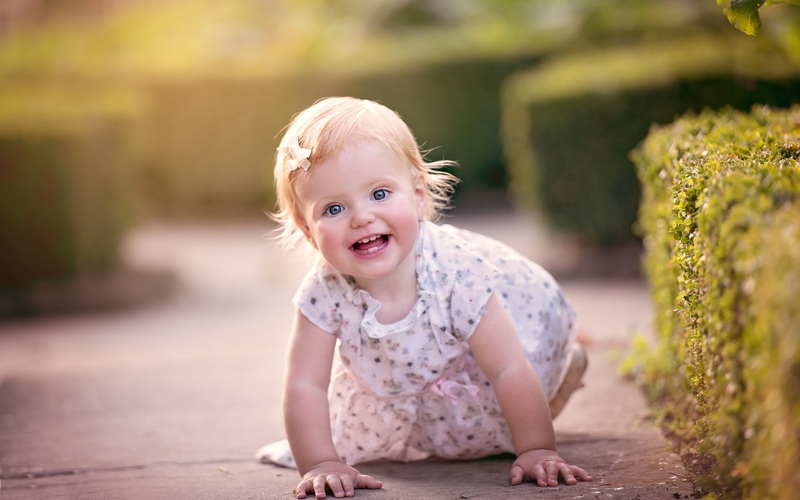 Developing these habits from the time your baby is born will keep their skin safe and will also ensure they understand how important sun protection is as they get older.